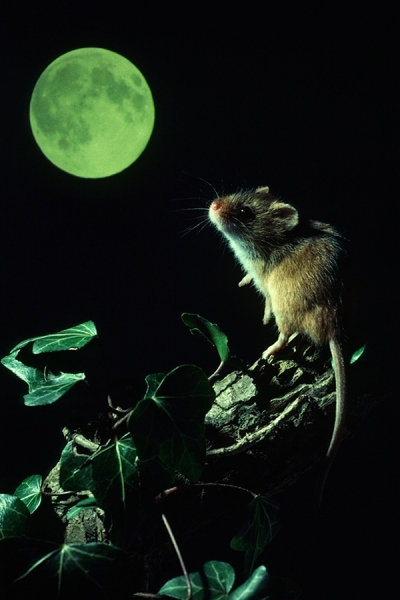 Home | Mammals | Harvest Mouse in the moonlight. Harvest Mouse in the moonlight. an already photographed moon projected on to a screen and re-photographed.